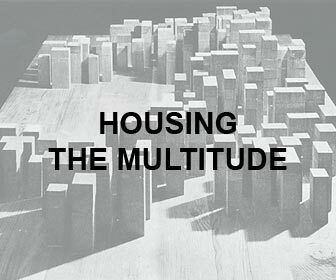 Now that the 14th Venice Architecture Biennale finally came to an end, we think it is the right time to publish this interesting short essay by Italian professor of architectural theory and writer Gabriele Mastrigli on the origins of Rem Koolhaas’ reading of the City, (which is in any way indissociable from his architectural production). 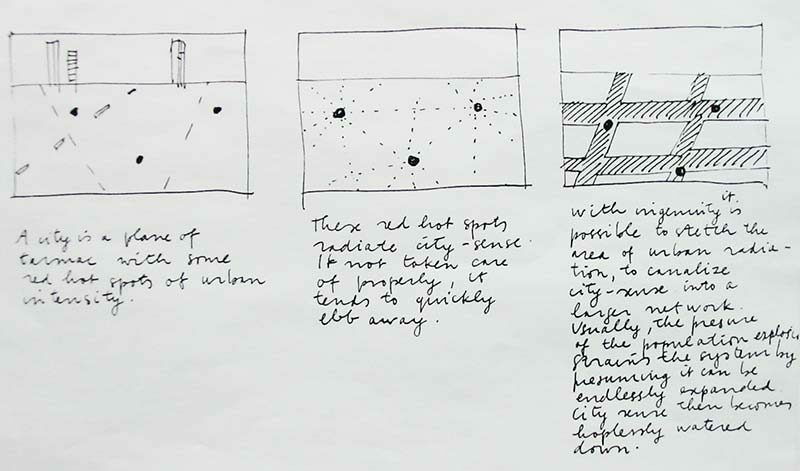 The dense paper presents a pretty uncommon image of the architect and theorist, identifying the genesis of his thinking in his roamings across 1968 Parisian streets when they resonated utopian slogans such as “Sous les pavés la plage!”. Later on, Mastrigli follows Koolhaas through his years at the Architectural Association school in London and then through his intense activity as a collector of illustrated postcards in 1970’s NYC, while writing “Delirious New York”. 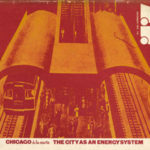 What is argued is that Koolhaas, pointing out that the City is a preexisting “condition before being a place”, – the locus for endogenous forces to unfold -, perpetuates the “rhetoric of the bourgeoisie myth”, the idea that “the norms of the bourgeoisie are experienced as undeniable or obvious laws of a natural order” as stated by R.Barthes. The article was originally published on San Rocco magazine #8, but the author wished to share it online on our website for the sake of debate. Among the various stories narrating Koolhaas’s interest in architecture, in fact, one places him in Paris precisely during the famous events of May 1968, though as a quasi-tourist. Beyond a question of ideology, it was in Paris that Koolhaas was seduced by the power of urban space in its extreme essentiality and artificiality: the street – the space of life where the forces that literally create the city unfold. Thus, in those peculiar historical circumstances, the Parisian streets revealed an unprecedented, and in some ways surreal, dimension of the city that was clearly readable in one of the most famous slogans painted on the walls of Paris: sous les pavés la plage. For Koolhaas, dealing with architecture signifies giving a voice to this dimension of the city, one that is anything but utopian. The city that Koolhaas assumes to be the opposite, in fact, is a city inhabited by a society completely bourgeoisized, as Roland Barthes had already stated years before. Here the struggle was, in fact, mainly a generational conflict within the same class whereby the expectations were the result of the (unconscious) ambition of the young bourgeois of then taking power, simply following their fathers’ footsteps albeit in a much more radical way.6 Despite the reasonable aspirations of emancipation – or perhaps thanks to this – the zeitgeist of the late 1960s appears to have been that of a process whereby the bourgeoisie reaffirmed its power. In this respect, the “imagination” represents not just a yearning for change, but also a controversial, powerful device with which to reveal something already embodied in the present situation. This is the case of Koolhaas’s approach to the city that incubated his first projects of the late 1960s and was eventually emblematized in his psychoanalytical, retrospective tale about New York. Long before it offers a solution to the “problems” of the city, Koolhaas’s discourse focuses on (literally) overturning its clichés, its ordinary “commonplaces.” His story of New York, then, is the expression of a fact, of what the city might be when one begins by considering what it already is. Koolhaas’s “secret” is this. The intrinsically tautological nature of his discourse belongs to what Barthes called the “rhetoric of the bourgeois myth”,7 a rhehoric that aims to define the (dream of a bourgeois) world as a new form of “nature” deprived of its “history” and lacking external motivations: a geography in which qualities, in order to be effective, must be quantified. But this is nothing new. Already at the dawn of modernity it was clear that the problem we had to face was how to approach reality. Modernity itself, according to Foucault, is a matter of attitude toward reality in its present condition. And the value of the present, affirms Foucault, referring to Baudelaire, is indissociable from a fervor to imagine it starting from our specific point of view, from ourselves.8 As a form of relation to the present, modernity therefore implies a mode of relationship that has to be established with oneself. What lies behind the sociology of the bourgeois myth is the problem of the bourgeois subject, the subject of modernity. 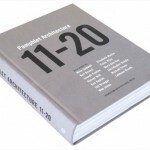 It is in this respect that Koolhaas’s approach, which involves perceiving architecture not simply as a discipline but also as the ultimate project of modernity, can be read as an attempt to question and problematize the very origin of this project, eventually revealing its critical, yet productive, value. For Koolhaas the city is first a condition, and only secondly a place. Everything rotates around the ambiguous notion of “red hot spots of urban intensity”: points of accumulation and simultaneously sources of the “city-sense” from which the city’s entire functional apparatus – residential, infrastructural, productive and recreational – benefits.11 Without ever actually explaining them, Koolhaas assigns these “red hot spots” the leading role in the tale of an invented city that unfolds in narrative subterfuges and highly specific architectural solutions. There is above all a need to collapse the rhetoric of architecture as an activity of problem-solving. To the questions “How can we originate new red hot spots of intensity?” and “How can we leave them intact?”, Koolhaas’s responses are intentionally summary (“by waiting for new hot spots to develop”, “by thinking about it”, “by not letting them die by adapting them to contemporary needs”), and he concludes that “it’s clear that there are no ‘problems’”12 – in other words, that architecture cannot be reduced to a dose of urban medicine, above all when its objective is the interpretation and design of the city as a whole. 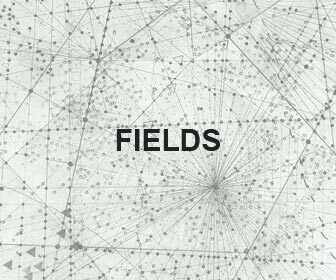 Having set this as his objective, Koolhaas then passes quickly to imagining an urban device that, in the abstract, consents the most effective deployment possible of the forces acting on the “surface” of the city. At this point the narrative precipitates vertiginously and immediately into a highly architectural image: a system of large 500-by-750-metre “platforms” that replace the traditional fabric of streets and city blocks. The platforms host all manner of activities, from residences to offices to recreational spaces. Some even include infrastructure and parks. Though the initial idea of the platforms was that of large urban condensers embodying the sense of the city and leaving no room for any “outside”, in developing his story Koolhaas does not exclude the possibility that “platforms could be used for almost any urban renewal project”. He goes as far as suggesting the insertion of one of these elements in Les Halles in Paris or Covent Garden in London.13 In so doing, he passes from the evocation of Le Corbusier’s City for Three Million Inhabitants (Koolhaas’s is home to 1,100,000) and hypotheses of linear structures reminiscent of Leonidov’s Magnitogorsk14 to the possibility of a direct confrontation with the existing city. If on the one hand his logic and many of his architectural elements anticipate the strategies of Exodus – Koolhaas’s and Zenghelis’s project for London of some years later15 – in his discourse Koolhaas keeps his sights set on what constitutes the original urban condition in its more generic and abstract definition, even at the cost of flirting with tautology: “If the city is a plane of tarmac with some Red Hot Spots of urban (metropolitan) intensity or desirability, this means that the urban situation originates and depends on the surface in which it is built. The surface is the city.”16 The story then returns to the beginning, where the “city-sense” radiated by the hot-spot remains the inexpressible, mysterious origin of everything. From this moment onward, Koolhaas’s project becomes a question of investigation, of research – in other words, an exploration of the urban condition in its most definitive and artificial aspects, as emblematized ten years later in his psycho-historical tale of New York. It goes without saying that the condition observed by Koolhaas is the generic, ordinary condition of the metropolis, with ordinary being understood as all that is unexceptional, all of that which tends to link spaces, sites and practices through processes of accumulation, compression and standardization: the excitement generated by differences is proportional to the robustness of the system that contains and controls them. Moreover, despite having its own history, New York is not a layered city. The time in which it exists (at least, up to the time of Koolhaas’s writing) is the present. In the absence of a past, of a tradition that oversees the development of the city, the present tends to express itself according to criteria of rationality and efficiency. Its form is that of Manhattan’s famous grid: a conceptual checkerboard atop which, beginning with only a few rules, everything can change without changing anything. The ordinariness of New York is thus not the other face of modernity, or its dark, repressed side. In New York all that had been repressed in the city was already there before its inhabitants’ eyes, a paradigmatic “mountain of evidence” that, at most, was lacking a manifesto capable of explaining it for what it was. Koolhaas and his wife, artist Madelon Vriesendorp, identified this in the most generic and common media of the 1930s, the illustrated postcard, of which they became avid collectors.17 The illustrations depicting the construction of the city during the early 1900s made it clear that in New York everyday life is a myth and the city its incubator. However, it is the very founding myth of New York that bears the signs of a projection into the future as improbable as it is prophetic. For example, in 1672 when, only a few decades after the arrival of the first Dutch settlers, the French engraver Jollain published a highly detailed though entirely false bird’s-eye view of New Amsterdam. For Koolhaas, “None of the information it communicates is based on reality. 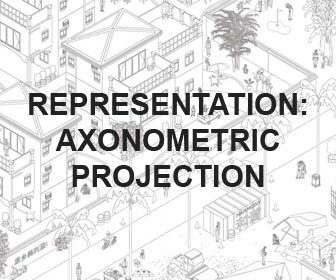 Yet it is a depiction – perhaps accidental – of the project Manhattan: an urban science fiction.”21 In fact, the “invention” of New York occurred in 1807 with the prefiguration of the current urban grid of 2,028 rectangular blocks, thereby imagining the “final and conclusive” occupation of Manhattan when the city still consisted of only a handful of blocks. It was an act of extreme realism destined simultaneously to maximize the commercial exploitation of the island’s territory and to lay the foundations for the most courageous urban prophecy of Western civilization: “the land it divides, unoccupied; the population it describes, conjectural; the buildings it locates, phantoms; the activities it frames, non-existent”.22 In other words, it imagined nothingness. C.L. 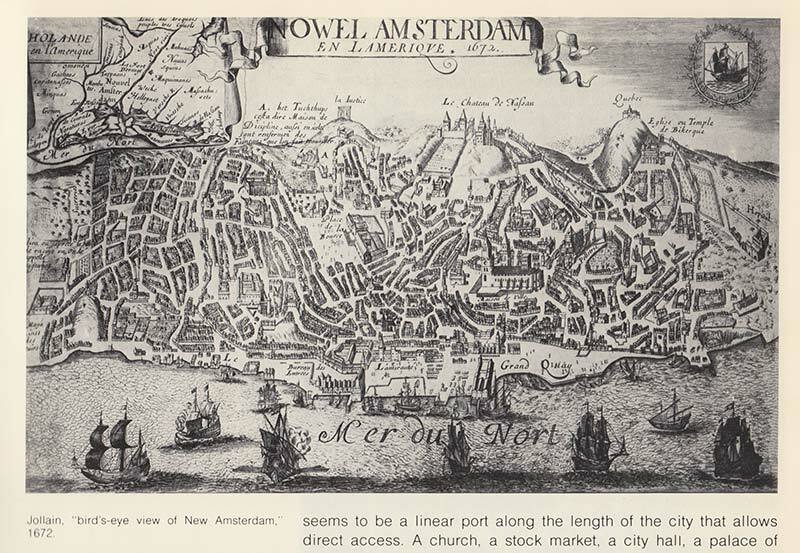 Jollain, Bird’s-eye View of New Amsterdam, 1672. New York suffers from the syndrome of the film star, being “too egocentric to discover patterns, too inarticulate to express intentions, too restless to record or remember events”.29 The role of the essayist, of the historian of the city, is thus replaced by that of the ghostwriter. All the same, the problem is that New York has aged prematurely, before its “life” had been fully lived. The ghostwriter is thus forced to provide his own ending. To do so, he cannot speak about the city, he must design it. The conclusion of Delirious New York is thus “an interpretation of the same material, not through words, but in a series of architectural projects”.30 The end of the book is also its apotheosis, for it ceases to recount an architectural narrative and instead presents architecture as the form of fiction: the story of New York concludes with an appendix that presents a series of theoretical projects for Manhattan prepared by the four members of OMA between 1972 and 1977. The projects re-evoke and condense the “materials” accumulated while recounting the city.31 The myth of Manhattan, invested by the powerful retroactive action of Koolhaas’s manifesto, can continue to exist only in an imaginary dimension, a dimension in which reality is literally placed in a state of crisis and re-invented, used as a surface onto which to project the ambitions, desires and expectations that have always constituted the sense of the urban dimension. Speaking of projects signifies moving from the world of contingent reality into that of hypothesis. The latter is the world of modernity. The modern paradigm is the notion of a diverse world imagined on the basis of conjecture. Its presuppositions belong to pure intuition. The only certainty is that which one refutes and of which one aims to take one’s leave. Of the projects presented in the appendix to Delirious New York one offers the best illustration of the modalities of Koolhaas’s method: “The City of the Captive Globe” (1972), not by chance “a first intuitive exploration of Manhattan’s architecture, drawn before research would substantiate its conjectures”.32 In this project, the grid – the modernist tool par excellence – is freed of the incumbency of mediating any context and traces an abstract and potentially infinite archipelago of “Cities in the City”. Each “island” corresponds with a city block of this theoretical Manhattan. 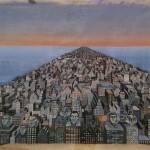 If, at its origin, the blocks of New York’s urban grid had generated diverse buildings simply on a formal level, then during the adult phase of Manhattanism, a growing programmatic complexity and the development of technologies transformed each project into a potential “ideological laboratory”, reducing the city to a catalogue of avant-garde movements – Futurism, Constructivism, Expressionism, Surrealism, Socialist Realism, etc. – that, Koolhaas claims, never took hold in Europe because their coexistence was incompatible due to their respective theoretical premises.33 If the ambition of the urban device is that of consenting the development of each ideology without compromise or mediation of any sort, in reality, this only demonstrates its modesty. 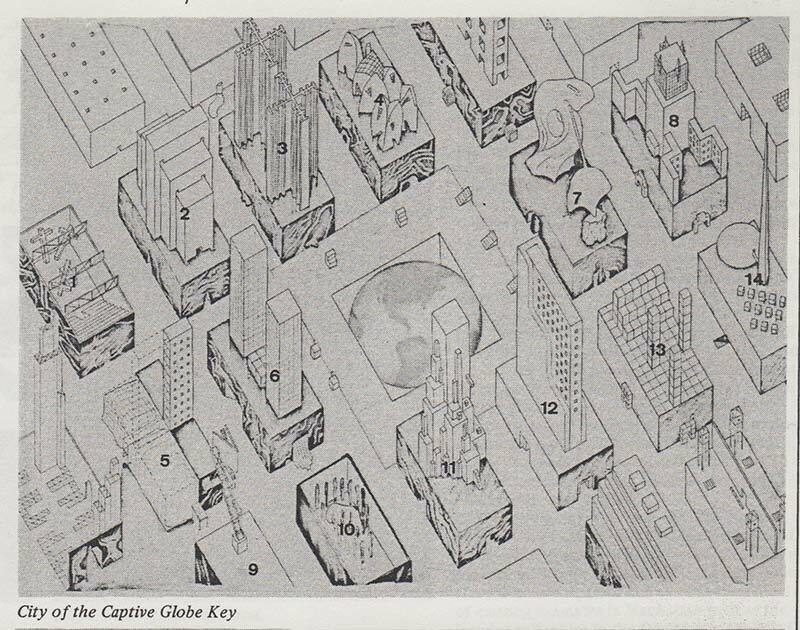 According to a plot reminiscent of Superstudio’s narrative, “The City of the Captive Globe” warns against the totalizing, though ineffective, dimension of ideology when it is not in some way contained. What exactly should we interpret “modernity” to mean in order to understand Delirious New York, and more in general Koolhaas’s position? The implicit message of Delirious New York is that the real project is oneself.50 In modern culture – with so-called postmodern culture, despite a number of farcical aspects, being nothing more than its apotheosis – there is no possible project outside of this condition. In fact, the elaboration of subjectivities is the space in which to measure the expansive and hegemonic strength of the forces of modernity. This is valid also for architecture, despite its irreducibly objective character. Or better yet, precisely this objectivity is the key to understanding the potential of architecture, and more in general of art.51 The objectual value of architecture is not limited to concrete or material data – the original data, as in the line of thinking that can be traced as far back as Laugier’s primitive hut; rather, it truly takes form when architecture becomes a speculative object, the support for an intellectual projection that consents the attribution of a mythical value. Shared, and thus social, this value is, in the end, historical. It is in this moment that architecture reveals itself in all of its productive dimension as a “machine” for the creation of new subjectivities. 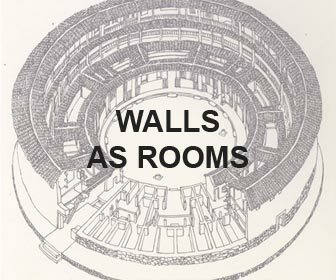 Elia Zenghelis, “Text and Architecture: Architecture as Text”, in Martin van Schaik and Otakar Màčel, eds., Exit Utopia: Architectural Provocations, 1956–76 (Munich: Prestel and IHAUU–TU Delft, 2006), 255. Epigraph to Rem Koolhaas, Delirious New York (London and New York: Oxford University Press, 1978), 6. “Writing is still, in a certain way, the most important thing for me. In a very simple way, because it is one area in which I am solely responsible. It is also the area in which issues like genre, simulation, and deliberate manipulation of voice are the most exciting things to experiment with. I must say that I am utterly surprised that very few people have really understood that it’s a literary voice, not necessarily an objective voice, that pronounces architectural issues.” Koolhaas interviewed by Beatriz Colomina, “Rem Koolhaas A–Y”, El Croquis, nos. 134–35 (2007), 379. See the interview with Rem Koolhaas, “La deuxième chance del l’architecture moderne . . . ”, L’architecture d’aujourd’hui, no. 238 (1985), 2–9. It must be remembered that prior to becoming an architect Rem Koolhaas worked as a journalist, a career he began in 1963 with the Dutch daily De Haagse Post as editor of the “People, Animals, and Things” column. It was here that he began writing articles on emerging lifestyles, only rarely examining the world of architecture. In the meantime, he founded the group of film buffs called 1, 2, 3, enz. (1, 2, 3, etc.). The name is an allusion to both the group’s variable number of members and the fact that they enjoyed exchanging roles as actors, cameramen, directors and screenwriters. The group included René Daalder, a friend of Koolhaas since high school, and other friends from the Amsterdam Film Academy, directed at the time by Koolhaas’s father, Anton Koolhaas, a playwright known for his stories about animals. The group created a number of short films and, in 1969, the ambitious though unsuccessful full-length feature The White Slave. 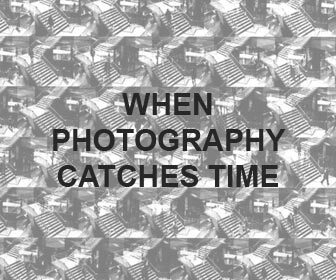 See Bart Lootsma, “Now Switch off the Sound and Reverse the Film: Koolhaas, Constant, and Dutch Culture in the 1960s”, Hunch, no. 1 (1999), 154–73. In his famous poem of 1968 “Il PCI ai giovani!” (The PCI to Young People! ), Pier Paolo Pasolini commented on the clashes between students and the police at Valle Giulia in Rome, mocking the bourgeois students’ “revolutionary” aspirations, referring to them as “figli di papà”, or spoiled children, unaware that their protest was inscribed within the very power structure they were fighting against. Although the poem can be interpreted on many levels, it clearly shows Pasolini’s critique of the bourgeoise’s normalizing culture. See Pier Paolo Pasolini, “The PCI to Young People!”, in In Danger: A Pasolini Anthology, introduction and ed. by Jack Hirschman (San Francisco: City Lights Books, 2010), 84. Roland Barthes, Mythologies , abridged and trans. Annette Lavers (New York: The Noonday Press, 1972), 151. See Michel Foucault, “What Is Enlightenment?”, in idem, The Foucault Reader, ed. Paul Rabinow (New York: Pantheon Books, 1984), 48. Koolhaas began studying architecture in London at the Architectural Association in the fall of 1968. Twenty-five at the time, he had already become interested in architecture, acquiring a certain knowledge of the subject. During his first year at the AA, Koolhaas attended the course taught by Tony Dugdale, an architect from the circle of Archigram, which left him deluded and frustrated. In the fall of 1969 he showed Elia Zenghelis his story “The Surface”, asking to join his second year Unit, and received an enthusiastic “yes”. This was the beginning of the collaboration that would lead the duo, in 1975, to officially found OMA together with Madelon Vriesendorp and Zoe Zenghelis. This information was obtained from a conversation between the author and Elia Zenghelis in September 2013. 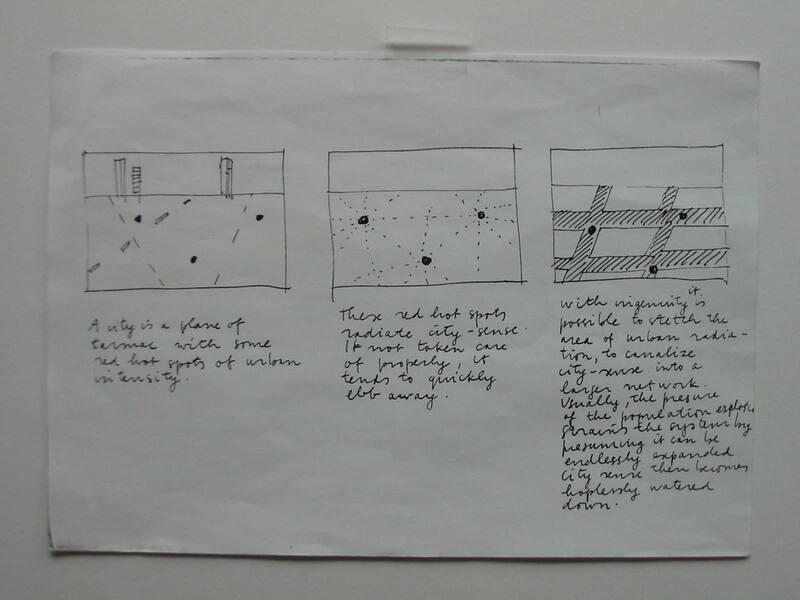 Rem Koolhaas, “The Surface”, unpublished manuscript, unpaginated. By analogy, the redundant, ambiguous centrality Koolhaas assigns to the notion of “red hot spots of urban intensity” recalls, even if in a completely different theoretical frame, the “urban fact” proposed by Aldo Rossi in The Architecture of the City. In Paris, “instead of putting up pompous towers and office blocks, closing of the whole site for the public and not trying in any way to clarify the existing situation, a platform would open up the whole site, while being economically at least as feasible. The same goes for the Covent Garden area, now to be redeveloped. One could preserve the original market buildings and church in a square in the platform.” Koolhaas, “The Surface”, 29. Ivan Leonidov was one of Koolhaas’s first interests in the field of architecture. In 1966, as a representative of the group 1, 2, 3 enz., he participated in a seminar at the TU Delft on cinema and architecture organized by Gerrit Oorthuys, a professor of history and an expert on Constructivism. The two travelled to Russia various times to study Leonidov’s work with the plan to publish a book. 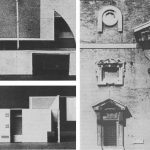 Exodus, or the Voluntary Prisoners of Architecture was published in 1972 for the “La città come ambiente significante” competition organized by Casabella magazine. The team consisted of Rem Koolhaas, Elia Zenghelis, Madelon Vriesendorp and Zoe Zenghelis. See “Exodus, or the Voluntary Prisoners of Architecture”, in Schaik and Màčel, Exit Utopia, 236–53. In 1972 Rem Koolhaas and Madelon Vriesendorp moved to the United States. They originally settled in Ithaca, where Koolhaas spent time with O.M. Ungers at Cornell University. In 1973 they moved to New York, where they began their research for the book. The discovery of the illustrated postcards of the city from the 1920s and ’30s spurred the couple to join the Metropolitan Postcards Collectors Club. “It was meeting once every month in a huge building downtown. One floor was turned into the Metropolitan Postcards Collectors Club once a month. It was in a way like a city, everyone has a table and you would circulate between the ‘destinations’ of those tables on which the postcards were arranged in shoeboxes. On each table all finds of possible fetishisms were arranged and indexed. . . . It was an invaluable resource, because one third of Delirious New York is based, both in its iconography and even in its information, on postcards I discovered there.” Koolhaas interviewed by Beatriz Colomina, “The Architecture of Publications: Rem Koolhaas in conversation with Beatriz Colomina”, El Croquis, no. 134–35 (2007), 355. Roland Barthes, Mythologies , abridged and trans. Annette Lavers (New York: The Noonday Press, 1972), 107. By Koolhaas’s own admission the work of Roland Barthes served as a crucial reference during the construction of Delirious New York: “In 1970, L’empire des signes, about Japan, by Roland Barthes, made an absolutely devastating impression on me. Barthes demonstrates – and this may apply to all of his work, including the more famous Mythologies, from 1957 – that there is no distinction between significant and insignificant content, and that what we should take note of and decipher are signs. In the process he abolished a whole moralistic dimension in the assessment of facts and conditions at a single stroke. It was an insight that enabled me to devote six years to a phenomenon that at the time held extraordinarily little prestige: New York.” Rem Koolhaas, “Bookmark”, Mark 10 (2007), 199. Koolhaas points out that even the hot dog was invented on Coney Island (in 1871). Some 210 metres in height and the result of an encounter between the Eiffel Tower and the Crystal Palace, the Globe Tower was designed in 1906 for Coney Island as an enormous vertical fun park. Set atop a train and bus station, it contained hotels, restaurants, theatres, a hippodrome, a circus, the largest ballroom in the world, a palm grove and an observatory, among other things. 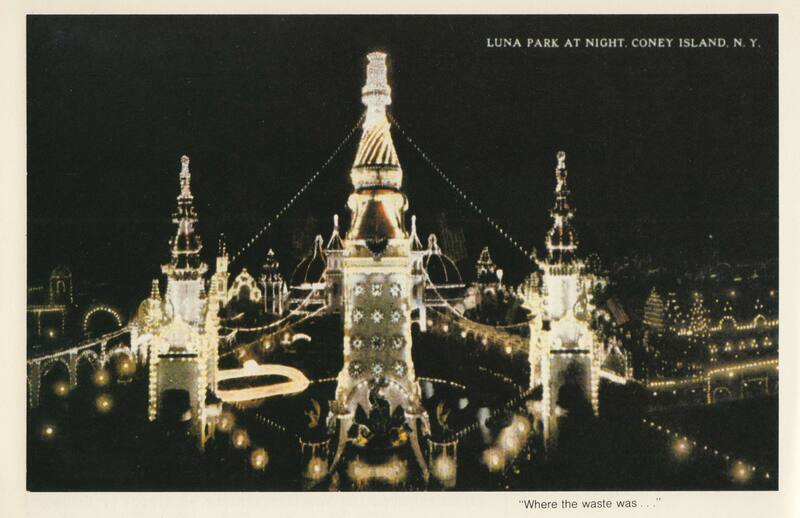 The project was abandoned in 1908 after the completion of its foundations. See Koolhaas, Delirious New York, 58–62. An interesting example on the theme of bourgeois ideology as the new nature of the city can be found in the term employed today to describe those who intend to acquire citizenship in a foreign country: naturalization. Koolhaas, Delirious New York, 242. The five projects are: “The City of the Captive Globe” (Rem Koolhaas with Zoe Zenghelis; 1972), “Hotel Sphinx” (Elia and Zoe Zenghelis; 1975–76), “New Welfare Island” (Rem Koolhaas with German Martinez and Richard Perlmutter, with paintings by Zoe Zenghelis; 1975–76), “Welfare Palace Hotel” (Rem Koolhaas with Derrick Snare, Richard Perlmutter, with paintings by Madelon Vriesendorp; 1976) and “The Story of the Pool” (Rem Koolhaas, with paintings by Madelon Vriesendorp; 1977). See ibid., 275–89. The credits can be found in “OMA”, monographic issue, Architectural Design 47, no. 5 (1977), 330. Koolhaas, Delirious New York, 244. Surprisingly, the project was developed in 1972, before Koolhaas arrived in the United States to gather material for Delirious New York. He began writing only in 1975, after returning to London. See Koolhaas interviewed by Beatriz Colomina, “The Architecture of Publications”, 356. The drawing of the city features illustrations, presented as examples, of fourteen buildings representing the same number of ideologies, a sort of private Valhalla of OMA at the time and a sampling of the theoretical ingredients destined to nurture the notion of Manhattanism. Stand-outs among the architectural references include: a hypothetical building by O.M. Ungers; two towers from Le Corbusier’s Plan Voisin; the Waldorf Astoria Hotel; two Miesian towers; Leonidov’s Ministry of Heavy Industry; El Lissitsky’s Tribune; one of Malevic’s Architektons; the Rockefeller Center; a histogram by Superstudio; and the Trylon and Perisfera of Wallace Harrison. See “The City of the Captive Globe”, in “OMA”, 331–33. 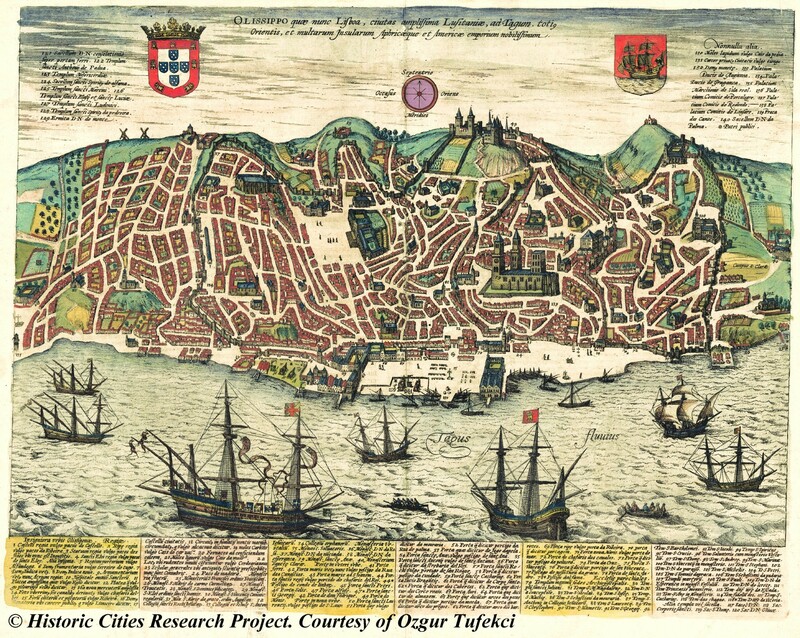 As pointed out by Pier Vittorio Aureli, the blocks of “The City of the Captive Globe” function not as “islands” but as enclaves, strictly dependent on the model of exploitation of the territory precisely as devices of urbanisation. See Aureli, The Possibility of an Absolute Architecture (Cambridge, MA: The MIT Press, 2011), 25. Superstudio, “New York of Brains”, Architectural Design 41, no. 12 (December 1971), 737–42 and 785. Koolhaas, Delirious New York, 244. See, for example, the construction of Radio City Music Hall; ibid., 167. See “Changement de dimensions: Rem Koolhaas s’entretient avec Jean-François Chevrier”, L’architecture d’aujourd’hui, no. 361 (2005), 101. Rem Koolhaas, “Life in the Metropolis, or the Culture of Congestion”, in “OMA”Architectural Design 47, no. 5 (1977), 325. See Salvador Dalì, “De la beauté terrifiante et comestible, de l’architecture modern style”, Minotaur, nos. 3–4 (December 1933); reprinted in Architectural Design 48, nos. 2–3 (1978), 139–40. Dalibor Veseley, “Surrealism, Myth & Modernity”, Architectural Design 48, nos. 2–3 (1978), 95. Michel Foucault, “What Is Enlightenment?” (Qu’est-ce que les Lumières? ), in idem, The Foucault Reader, ed. Paul Rabinow (New York: Pantheon Books, 1984), 39. In passing, it must be recalled that Koolhaas met Foucault during his time in Ithaca: “It was an incredible year in Cornell because Foucault was teaching there, and also was Hubert Damisch. We became friends with Hubert and Teri. We once picnicked with the Damisches and Foucault.” See Koolhaas interviewed by Beatriz Colomina, “The Architecture of Publications”, 355. “Philosophers and philologists should be concerned in the first place with poetic metaphysics, that is, the science that looks for proof not in the external world, but in the very modifications of the mind that meditates on it. Since the world of nations is made by men, it is inside their minds that its principles should be sought.” Giambattista Vico, Principi di una scienza nuova (Naples: Felice Mosca, 1725), translation by the author. In the book’s epigraph, Koolhaas erroneously lists the publication date as 1759. In reality, it is important to underline how Vichian philosophy, with regard to the theory of knowledge, anticipates Kant’s Critique of Pure Reason by more than half a century. Already in 1710, Vico affirmed that: “As God’s truth is what God comes to know as he creates and assembles it, so human truth is what man comes to know as he builds it shaping it by his actions.” See Ernst von Glaserfeld, “An Introduction to Radical Constructivism”, in Paul Watzlawick, ed., Invented Reality (New York: W.W. Norton & Company, 1984). Foucault, “What is Enlightenment?”, 40. Charles Baudelaire, Le Peintre de la vie moderne, quoted in Foucault, “What Is Enlightenment?”, 40. It is not possible here to avoid considering the explicitly design-oriented role of the observation referred to by Le Corbusier in the chapter “Eyes That Do Not See” in Toward an Architecture. Koolhaas’s judgement, which appears in the book to be pitiless in Le Corbusier’s case and enthusiastic in Dalì’s, must be reconsidered. 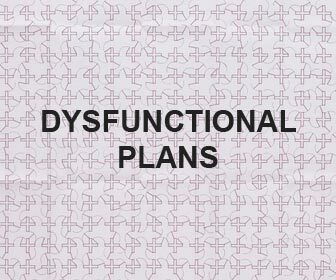 Le Corbusier, whom Koolhaas sees as the first to have intended architecture as an activity of the substantial overvaluation of the existing, is Koolhaas’s true hero: “Dalì’s strategic formula offers in practice the best model for understanding architectural procedures: making the world accept visions that it does not want, and building them in the city. And I’m not the only one to have picked it up – just think of Le Corbusier for example.” Koolhaas in “Changement de dimensions”, 101. In this sense we could say that the true latent project of Delirious New York is precisely the design of OMA, officially founded on 1 January 1975 by Rem Koolhaas and Elia Zenghelis, together with Madelon Vriesendorp and Zoe Zenghelis. See “O.M.A.”, Lotus International, no. 11 (1976), 34–37. According to Baudelaire art is the only field in which it is possible to bring about a true historicization of the present, a game between freedom and reality for its transfiguration and, thus, an aesthetic elaboration of the self. See Foucault, “What is Enlightenment?”, 42. “The condition in which a civilisation finds itself when, leaving behind an empirical period, it becomes conscious of something that, in precedence, it had only intuited”. An hieratic attitude as opposed to the imposing nature of the new, because contrary to the intermittency of the latter, it is first and foremost “knowledge of the self, the final moment in a lengthy period of research toward which acquired knowledge leads”. See Le Corbusier (Ozenfant & Jeanneret), La Peinture moderne (Paris: Crès & C., 1925), 153. Foucault, “What Is Enlightenment?”, 52.